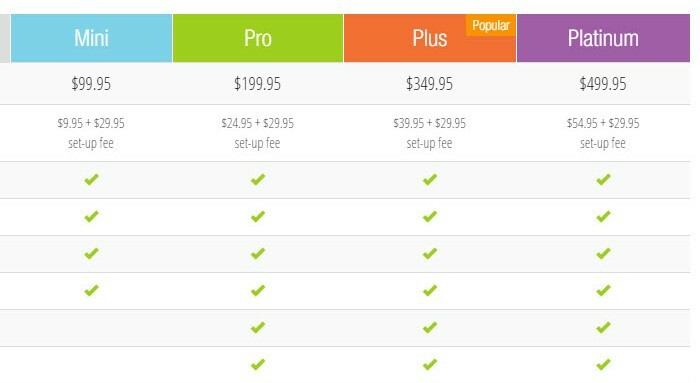 You've got a product with a few different price tiers. Is it wiser to work up to the big guns or to start high and work your way back? Tiered pricing can be a wonderful component to any business marketing strategy. It allows you to expand your offering of available products, and that ability to tailor products to individual budgets can coax more shoppers into converting. But when it comes to presenting your price tiers, which way is best? Do you start with the bargain option and work your way toward the premium, or is it better to lead with your richest product and work backwards? The easy way to test this is to pit one against the other: Low-to-high vs. High-to-low. The methodology behind going low to high is a simple game of playing the odds. More people are likely to choose the lower cost option, so show that one first. Why go high to low? It presents your product information in a more logical order. Working left to right, the first product you see introduces viewers to all of the available features. Then, they can work rightwards to find the price and feature combination that works for them. With the trickle of traffic the page was seeing, it took a little more than a month to validate data. However, high-to-low recorded a verifiable 117.39% increase in conversions. Going high-to-low makes more sense. It presents all of the product's features first and makes it easy to find the combination of features to suits a budget.